Flutter and flirt your way to nail art excellence with Ciaté’s latest creation: The Feather Manicure. Straight from the runway to your talons, leading nail innovators Ciaté push the boundaries of DIY design with their latest at-home WOW kit. The Feather Manicure kit allows you to achieve the natural texture and intricate pattern of a fluttering quill, by sealing an actual ethically sourced feather onto your nail, with just a few simple steps. This is your chance to get your hands on one of these sets, which has already featured on Vogue and Cosmopolitan online. Ciaté’s creative director Charlotte Knight took inspiration for this elegant look from her favourite catwalk shows and transformed it into a delicately detailed manicure. We want to know what feathery looks inspire you. 2. Upload an image of your favourite feather inspiration e.g runway looks, feather makeup, decor or any other feather images that inspire you. 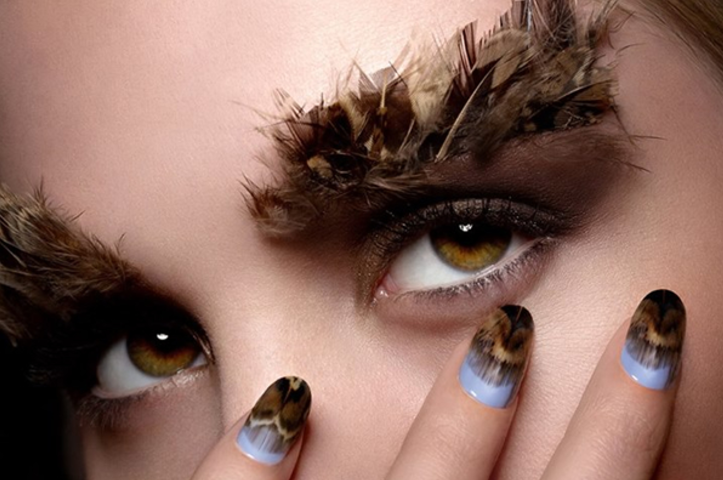 Don’t forget to use the hashtag #featheredmanicure when you upload your image to Instagram. For more inspiration head over to our Pinterest board and Instagram. The winner will receive their own Feathered Manicure Kit and the best 3 entries will be uploaded onto our Instagram. Whether you’re looking to channel boho chic or feminine decadence, this manicure will leave you with stunning results – a true at home luxury for all nail art lovers. Get uploading your images and good luck.